Our belief is that eating local is a win, win for all and in more ways than one. For the very best flavor and nutrition, eating close to your food source is always best and, in doing so, we support our local farmers & economy and, at the same time, substantially reduce our carbon footprint by reducing our miles to table along with packaging and waste. Our mission at Jammin’ Crepes is to Serve & Preserve the very best of the local harvest throughout the seasons. We work directly with numerous local farmers and food artisans in an effort to provide you, our customers, with a variety of fun, local & delicious flavors all year long. We truly believe that the closer you are to the tree, the better the fruit will be. Sansone’s has been owned and operated by the Sansone family since 1914. Currently in their third generation, the farm is operated by Jim Sansone, Jr. They are open from just before Easter through the end of October, and from the weekend after Thanksgiving through Christmas. 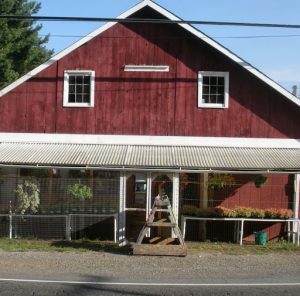 They carry a large selection of produce, flowers and seasonal items, but are known for their flavorful heirloom tomatoes and sweet corn and, interesting array of home grown vegetables such as exotic eggplant and dozens of varieties of tomatoes. Chickadee Creek Farm is a certified organic and certified transitional organic vegetable, flower and herb farm. 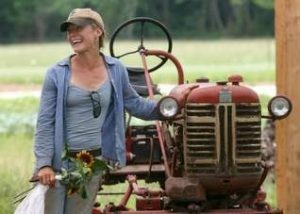 They began in 2010 with the goal of diversifying their three-generation family farm and making the move to organic. Chickadee Creek Farm, run by Jess Niederer, is part of the larger Niederer Farm. Jess is in the thirteenth generation of her family involved in farming; four generations in Hopewell Valley, NJ, and the rest in Switzerland. The 80-acre family farm is on Titus Mill Road in Pennington, NJ. Jess and her crew grow on 17 of those acres, with 8 of them devoted to vegetables. They grow a number of vegetable varieties chosen for flavor and suitability to our climate, running the range from zucchini, striped heirloom tomatoes, amazing potatoes, and ridiculously sweet winter carrots to lettuces, delicious ginger, and the prettiest flowers. Blue Moon Acres all started with a passion for high-quality, locally-produced food. 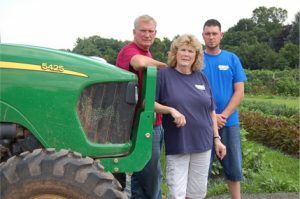 With backgrounds in natural foods-wholesaling and farming, owners Jim and Kathy Lyons wanted to pursue a healthier, more sustainable form of agriculture. Together they realized their dreams to own and operate a farm. When Blue Moon first opened its doors in 1992, it did so as a CSA—Community Supported Agriculture operation. Blue Moon Acres acquired a 63-acre Certified Organic farm on agriculturally-preserved land in Pennington, New Jersey. It was here that several years later, Blue Moon built their first farm market, in which both the farm’s Organic produce and other locally-made goods are sold. Today, the farm operates with an ever-increasing focus on sustainability via the use of bio diesel farm equipment, and geothermal heating and cooling techniques. Looking to the future, Blue Moon’s focus will remain on sustainability and soil biology, which results in disease-resistant, better-tasting, more nutrient-dense foods. 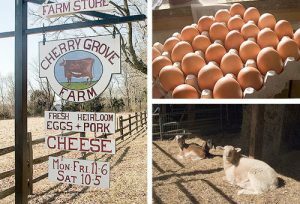 Cherry Grove Farm is a diversified, sustainable dairy farm and creamery situated on 480 acres of woodland, wetland and pasture in Lawrenceville, New Jersey. They make award-winning farmstead cheeses from their grass-fed cows’ milk. As part of their sustainable ecosystem, they also raise a small number of pigs, lambs, chickens and beef cattle, producing grass- and whey-fed meats, raised without hormones, antibiotics or steroids. Apple picking, pumpkin picking, cider, pies, farm animals, pick your own, field trips, farm market, gift baskets and more can be found at the Mount Family’s 200 fruit- and vegetable-producing acres noted for quality products and country-style service. 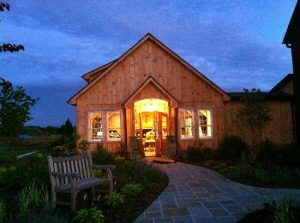 Terhune Orchards Farm Store attracts local people doing their daily shopping as well as visitors on their way through the Princeton area. The Farm Store and Farm Yard are open every day all year. 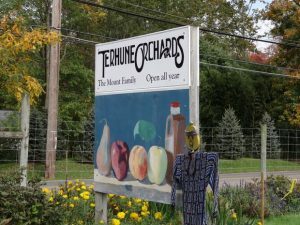 Terhune Orchards grows over 35 crops on 185 acres. About half the farm is devoted to orchards. They grow about 30 varieties of apples, 28 varieties of peaches and 7 varieties of pears. Peace Valley Farm raises several varieties of English lavender and lavandins with more than 3,000 plants blooming on their hillside. And with that raw material they produce a wide variety lavender products: bath & body, culinary, dried floral, sachets & pillows. Peace Valley Lavender Farm and Shop is located in historic Bucks County, Pennsylvania overlooking the verdant Peace Valley Park. We love their Culinary Lavender and use it to make our Signature Lavender Sugar that is used in our top selling “Lemon & Lavender” Crepe. The Griggstown Quail Farm has grown to over 65 acres raising pheasants, quail, chickens and, when in season, Mallard and Muscovy ducks, all natural free range white & heritage breed turkeys, and partridge. All the birds are “all natural” (free of growth hormones and antibiotics) and cage free without overcrowding. A family farm since 1915, the Stults Family owns, manages and are the work force on the farm. The main source of income is by direct market selling of their fruits and vegetables though “Pick Your Own” and their Farmstand. Wheat and soybeans are also grown as rotation crops. 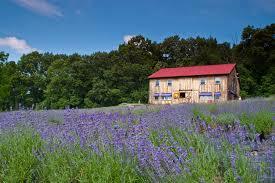 Their farm is 200 acres of beautifully maintained preserved farmland. 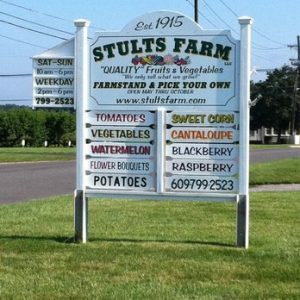 The Stults Family takes great pride in their farm family heritage and in the meticulous care of their family farm. A family owned and operated 250-acre fruit, vegetable, and greenhouse tomato farm. All farm produce is picked fresh daily and sold in their farm market on the farm or at Trenton Farmers Market located in Trenton. Once upon a time cheese in the US was made in small locally owned “creameries” to suit the taste and demanding standards of the people who knew milk and dairy products the best, local farm families. LeRaysville Cheese Factory was built by a group of Old Order Amish farmers in 1978. They continue the Amish tradition of hand-making several different types of pasteurized whole milk cheeses (cheddars, cheddar curds, baby swiss, as well as other varieties). 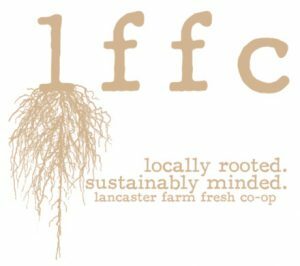 Lancaster Farm Fresh Cooperative (LFFC) is a non profit organic farmers cooperative of 75 farmers in Lancaster County Pennsylvania. They focus on creating healthy high quality foods from their highly maintained and enriched soils on their small scale family farms. LFFC connects the farmer and customer, delivering the best local organic produce, value added products, and humanely raised and pastured animal products to retail establishments, co-ops, restaurants, and institutions. Zone 7 is a farm fresh-distribution service that connects farmers and chefs. They pick up the highest quality ingredients from New Jersey and eastern Pennsylvania farms and deliver them weekly to restaurants, grocers and institutions. 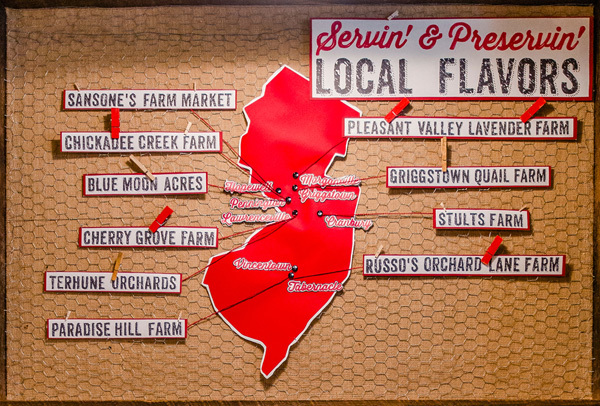 Based in central New Jersey and named after our agricultural growing zone, Zone 7 works exclusively with the region’s best organic and sustainable farmers to offer fruit, berries, vegetables, mushrooms, eggs, honey, cheese, grain products and other farm-fresh food. Boylan Bottling’s story starts in 1891, when a pharmacist named William Boylan created an elixir in his Paterson, New Jersey, apothecary. He named that serum, a derivative of birch trees, Boylan’s Birch. Although Birch Beer will always be a big part of the brand’s heritage, Boylan today is best known for its full line of hand-crafted, naturally flavored, cane sugar sodas. 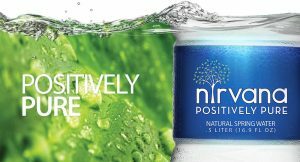 Nirvana Water could be arguably the purest spring water in the world. Nestled amidst 2,000 acres of untouched wilderness in the Adirondack Mountains of New York is the single source that provides Nirvana its Natural Spring Water. The eco-friendly bottles have been created using less plastic and by using an all-new process that reduces their carbon footprint and overall environmental impact. Founded in Doylestown, PA in 2002, Steaz makes award-winning, delicious, iced tea and energy drinks, made with ingredients you can feel good about. All their iced tea drinks are made with organic, Fair Trade Certified™ green tea grown in Kenya and are brewed with antioxidant-rich fruits and other natural ingredients. Starting production out of his basement in 1983, John Harney began his own journey in mastering the craft of tea blending. Serving his distinctive blends with inn guests, he soon found they were coming back for more. Never did John Harney imagine that his small home-run business in Salisbury, Connecticut would turn into a global operation. Harney & Sons was founded on a commitment to deliver customers the finest quality tea possible. This promise, made 30 years ago, serves as the company’s guiding principle. Today, Harney & Sons Tea remains family owned and managed, with three generations of Harney’s preserving John’s tradition of fine tea and traveling the world in search of the finest ingredients. 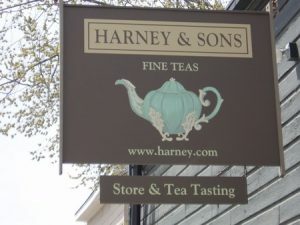 We offer a good variety of both Hot and Cold Harney & Sons Teas. We also sell their packaged teas for you to enjoy at home. 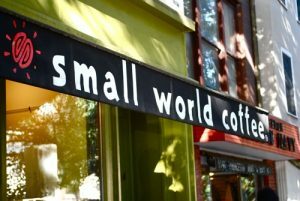 Small World Coffee has been serving up quality coffee, food, art, and community in Princeton, New Jersey since 1993. Their attention to detail and commitment to quality is what has allowed them to thrive and become an “institution” in our town. Small World Coffee’s two cafes serve coffee, cappuccino, espresso and more made with organic, fair trade, and artisan coffees. We have been devoted customers of theirs for years and are honored to be brewing their Coffees at Jammin’ Crêpes.